It is possible to change the background string " output " of the studio? I would like to add a line in green or red line (TDD). Do you mean that when you are writing output from the server (e.g. 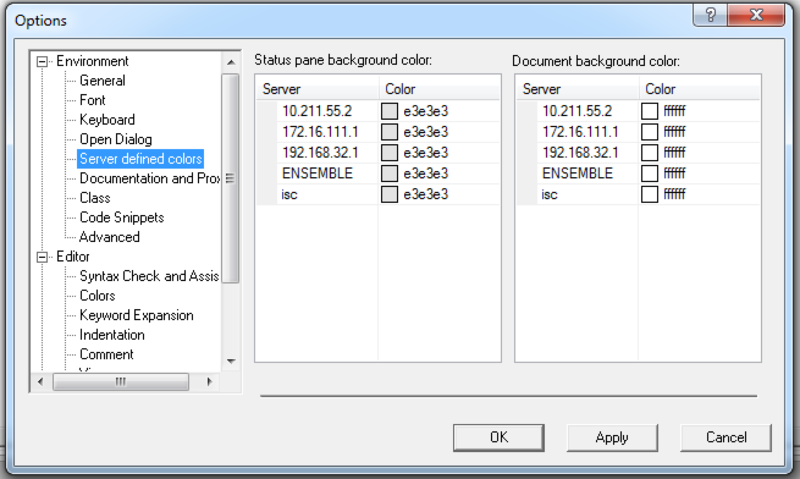 from a source control class) you want to be able to control the colour of that text? I have never discovered a way of doing that, but let's see if anyone at ISC knows of an undocumented feature there. Unfortunately output window, just ignore any control characters, and not sure that is possible now.